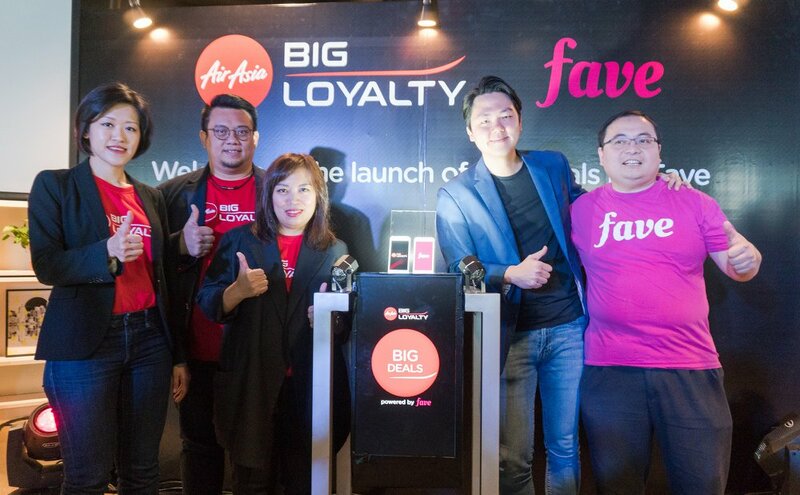 AirAsia BIG Loyalty today announced an exclusive partnership with Fave, marking its first step beyond travel deals through the launch of BIG Deals by Fave, a new feature on the AirAsia BIG Loyalty app. BIG Members will now be able to receive double the rewards, earning BIG Points and redeeming their favourite everyday deals using BIG Points while enjoying savings up to 95% off on the best travel and lifestyle deals by Fave. 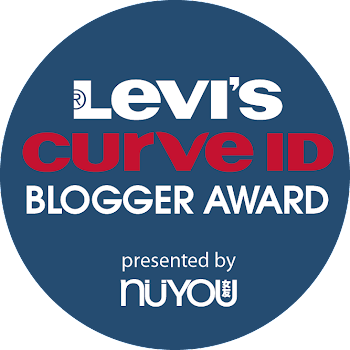 BIG Deals by Fave allows over 3.6 million BIG Members in Malaysia to earn 1 BIG Point for every RM1 spent on lifestyle vouchers every day. They can also utilise their BIG Points to redeem BIG Deals vouchers, from food, beauty and activities to automobile services, travel and fitness, with popular brands like A&W, Healthland, Forever 21, Le Meridien Kuala Lumpur, Kenny Rogers Roasters and more offering discounts of up to 95% at over 3,700 outlets. Last year, Fave offered up to RM185 million in savings to their users. 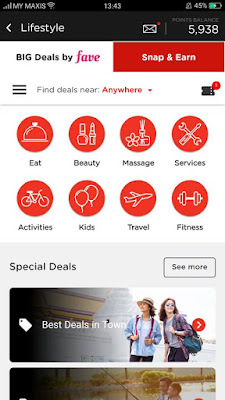 With this new partnership, AirAsia BIG Loyalty is extending the privilege to BIG Members in Malaysia, as part of its commitment to giving members more freedom to enjoy bigger experiences at better value.